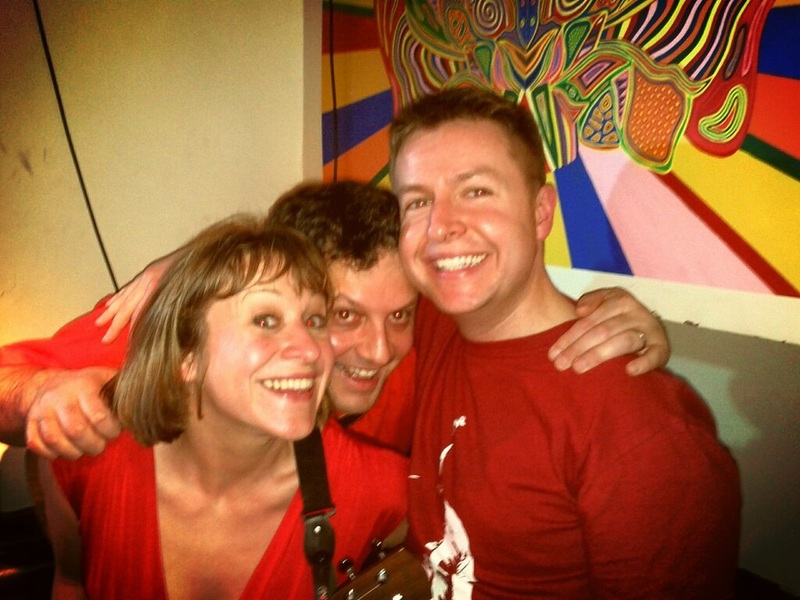 We rocked in red last week – thankyou to all who came! The money raised on the night has been counted and we have managed to reach the princely sum of £74.86. This will be sent to British Heart Foundation – you can still donate if you like! It was so busy we might have to increase our playing time or add more gigs! It was good to play some of the new material, as well as some of the classics that are chosen most often. If you missed your taste of ukulele karaoke then put our next date into your calendar – Thursday March 21st – see our Facebook event! Here is a video from the stage during 9-5. Tweet us your videos and images! We are also playing at the London Eye ‘Wheel of Date’ event this Thursday – so if you are attending that then get practising those songs (like we are!)! 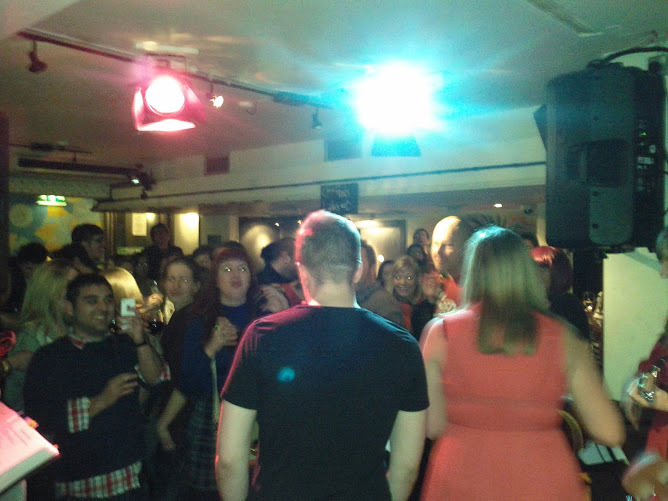 We had a great time in January – thankyou to all who joined us on stage at the Royal George. We will be back this month on the 3rd Thursday as ever! Please wear a piece of red, and bring a small donation for the British Hear Foundation. Wear a piece of red for the British Heart Foundation. 7pm – doors open to you guys – Gather names to sing! Come early if you want to sing with us, and stay late if you want to dance with us! We look forward to seeing you all again! Join our Facebook page and share to your friends! What we really want to see is some f***** red trousers!